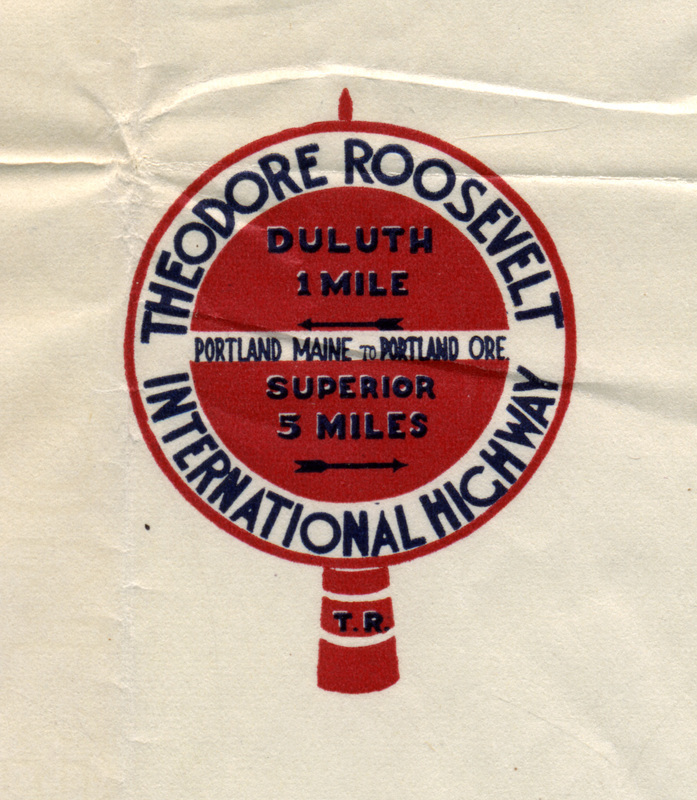 The Theodore Roosevelt International Highway Association developed this directional sign to be used along the highway. It is not clear if signs of this type were ever used in Vermont. “Trail Directional Signs,” Digital Vermont: A Project of the Vermont Historical Society, accessed April 18, 2019, http://digitalvermont.org/items/show/1264.